1. Report junk gun defects, accidents and accidental discharges. 2. Tell a Friend about Brandon's Arms. 3. Support firearm education, safety and registration efforts. 4. Volunteer to help or make a donation to a public interest firearms safety organization. 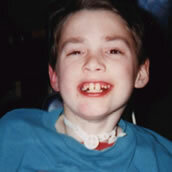 Brandon's Arms was inspired by the story of Brandon Maxfield. 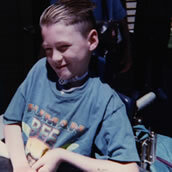 When he was seven, Brandon was accidentally shot in the face by a defective Bryco pistol which discharged while being unloaded. 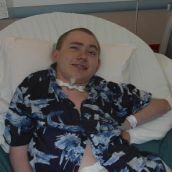 As a result, Brandon is permanently paralyzed below the neck. In Maxfield v. Bryco, a unanimous jury found Bryco Arms responsible for its defective design and for Brandon�s injuries and medical expenses. Bryco Arms and its principals declared bankruptcy, and have yet to fully compensate Brandon. Brandon's Arms works to promote the public safety by reducing and eliminating injuries and deaths from the accidental or criminal use of firearms. Brandon is continuing his fight to obtain compensation from Bryco Arms and to keep defective junk guns and crime guns off the streets. Please explore the site for more information. You can join Brandon's campaign to keep defective guns off the street by telling others about this site. measures to reduce and eliminate injuries and deaths from the accidental or criminal use of firearms.